Home > How can you measure the value of a webpage? > How is Alexa Rank different from Majestic Citation Flow? 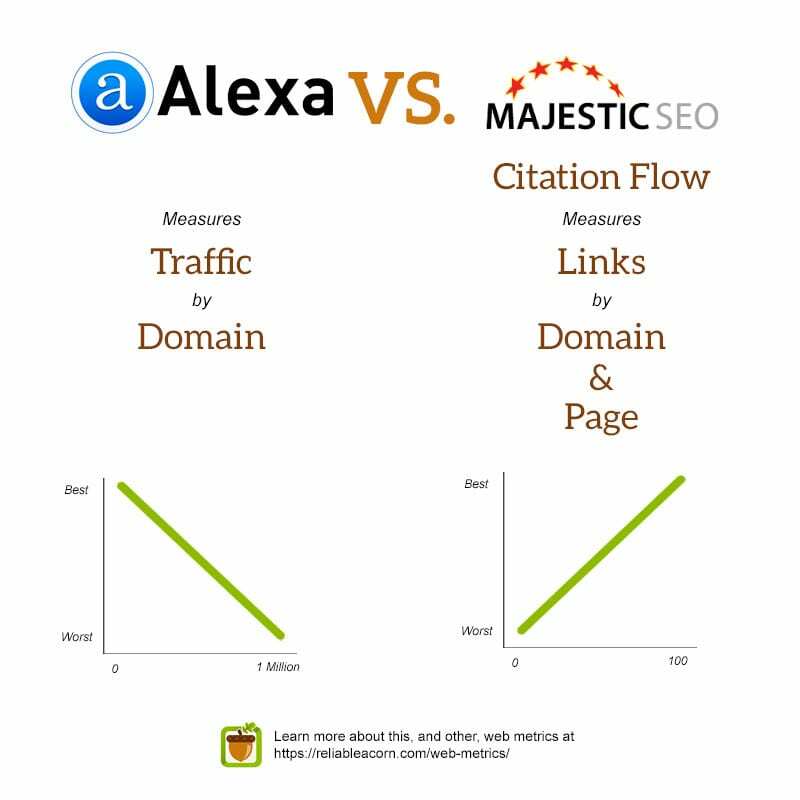 How is Alexa Rank different from Majestic Citation Flow? Alexa Rank measures a website based on its page views and unique visitors. Alexa Rank is a list of websites, in order or popularity: the #1 Alexa Ranked website is the most popular in the world. Typically Alexa only provides ranking for the top 1 Million websites. On the other hand Majestic Citiation Flow is a score of predicting a webpage or domain’s influence using the quantity of links to the website. Alexa Rank can be calculated domain wise. The more websites linking to a page (or site), the higher the Citation Flow. This is measured on a scale between 0 and 100. A website with a 100 Citation Flow score has many, many links to it. Citation Flow can be calculated domain or by individual page.